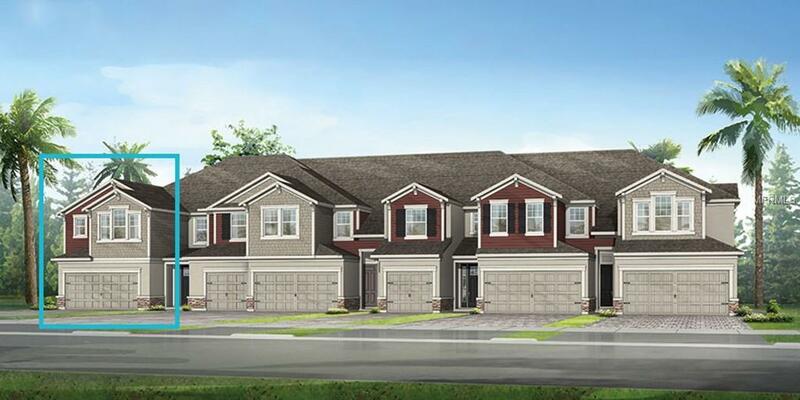 UNDER CONSTRUCTION - Great end unit town home with lanai! This master up plan features popular Stone color kitchen cabinets, Cloud White Corian counter tops and stainless steel appliances. Breakfast bar area opens up to the great room and large prep island in the kitchen. Milan 12 x 24 tile through out the main level. Notice the beautiful upgraded stair railing as you travel upstairs to the master suite with TWO walk in closets, tray ceiling, dual sinks and large shower. Two additional bedrooms and full bath, one bedroom has a walk in closet! Laundry room is located conveniently upstairs as well. Lanai off the back of the home offers a great place to spend the evenings outside. Located in Harmony at Lakewood Ranch, this community offers a club house, resort style swimming pool, events lawn, fitness center, walking trails and more! Close to shopping, schools and a short drive to the beach!